Captain Rogers, a native of Orlando, Florida, is a 1959 graduate of Stetson University. He taught public school prior to entering Officer Candidate School in 1960. 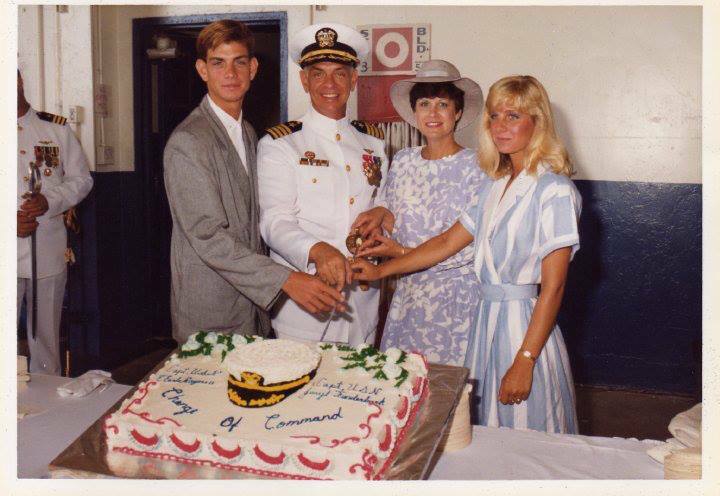 He was designated a Naval Aviator in April 1962. Sea duty assignments included tours in Helicopter Antisubmarine Squadron SIX (HS-6), Helicopter Combat Support Squadron SEVEN (HC-7) and Air Boss on USS Nassau (LHA-4). He is entitled to wear the Command at Sea insignia for command of Helicopter Mine Countermeasures Squadron TWELVE (HM-12), Helicopter Antisubmarine Squadron THIRTY (HSL-30) and Helicopter Sea Control Wing ONE (HSCW-1). Ashore, he served as a flight instructor in Helicopter Training Squadron EIGHT (HT-8), Aviation Rating Assignment Officer, Bureau of Naval Personnel, Executive Officer, Naval Air Station Key West, Florida, Commanding Officer, Naval Air Station Corpus Christi, Texas, and on the staff of the Chief of Naval Education and Training, Pensacola, Florida. He retired from the Navy in January 1988, after nearly 28 years of service, to join the Naval Aviation Museum Foundation where he served as Vice President for Communications and Chief Operating Officer. He retired on 31 August 2008 but remains a Vice President of the Foundation. He is a graduate of the Naval War College and has been awarded a Master of Science degree from The George Washington University. Captain Rogers was the 1978 recipient of the Navy League of the United States Stephen Decatur Award for Operational Competence and the Naval Aviation Museum Foundation’s 2009 recipient of Admiral Arthur W. Radford Award for Excellence in Naval Aviation History and Literature. He is authorized to wear the Legion of Merit, the Meritorious Service Medal with two Gold Stars, Air Medal, Navy Commendation Medal with Combat Distinguishing Device and Gold Star as well as several unit commendations and campaign medals. He is married to the former Marilyn Barrineau of Pensacola, Florida. They are the parents of a son, Jeff, and a daughter Kristin and have five grandchildren.